Known affectionately by operators as 'Old Groper', Hawtins' Clutching Hand was an imaginative and futuristic take on the rotary merchandiser concept. 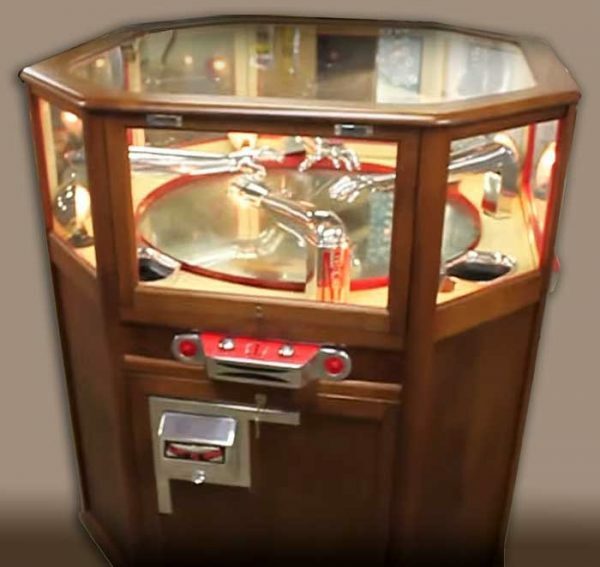 The large octagonal cabinet furnishes four stations from which players control the polished aluminium arms and clutching digits to grab prizes from the revolving mirrored disc. Of course, the shiny fingers lack the purchase of their fleshy counterparts.